Accent Employer Solutions Is BETTER Than Just A Payroll Service! Why Use Accent Employer Solutions for your payroll solutions? It’s simple. We do so much more for clients at so little cost, with absolutely amazing results. Ask about our low-cost premium HR consulting available to payroll clients, and your small business is suddenly empowered with great resources that cost so much less than conventional solutions. Take Advantage Of Our $89 Payroll Services! We will deliver checks directly (without annoying fees), direct deposit into employee checking accounts, savings accounts or credit unions (payroll amounts can be split between accounts), or issue a monetary credit to debit cards. This can be important to employees in industries where it may be difficult to deliver paychecks. Plus, a debit card is a great way to pay employees that may not have a bank account. In addition, multiple debit cards may be used, which an employee may utilize for a student away at college or someone in another country. 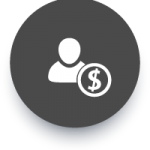 Our world-class, web-based payroll platform allows you to enter time and any bonus, commission or other salary adjustments quickly and efficiently. We then take over from there. You can process raises online separately from payroll and rely on the proper computation at payroll time. Employees can access their own records through the web and make any personal changes such as address, bank account changes, withholding changes or, at your discretion, they can be made by you. You have the flexibility to control how and who can access the various data in the system. 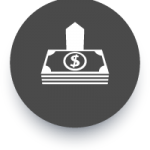 Agencies such as the IRS, state workforce commissions, or financial institutions look to us for proper and timely payment of withholding amounts. Courts also look to us for payments of garnishments, child support or directed payments for judgments. You’ll never again have to worry about missing a payroll tax deadlines, government audits, deduction computations, and other inconveniences that slow down your business’s operations. The use of Payroll services or PEOs continue to gain popularity with small and mid-sized business owners, as government compliance becomes more complex and arduous. 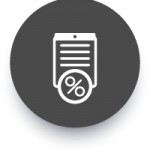 The savings in both productivity and possible fines often substantially lowers the business’s overhead costs. Additionally, many payroll services, especially those that are full PEOs offer support to meet compliance of immigration and healthcare laws. According to the National Association of Professional Employer Organizations (NAPEO), nearly 200,000 businesses are partnered with a PEO. These companies are not only secure in their government compliance, but also enjoying the cost savings and productivity boost that often comes with working with a PEO. 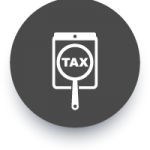 PEOs are experienced with state and federal tax regulations. 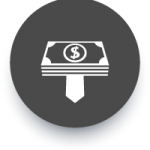 These services ensure withholding is managed properly and is paid out on time. Payroll services can pay out child support, judgments, and wage garnishments in accordance with any court orders. Payroll services can deliver pay in one of several ways, depending on employee and employer preference. This includes sending out checks, making direct deposits into employee checking or savings accounts, or issuing a debit or credit card. Reputable PEOs ensure their clients always have complete control over their employees’ salary, commission and bonus adjustments. This is usually done through a remote, web-based platform that can be accessed at any time. Through this platform, the employer can make adjustments to a worker’s time, commission or bonus, as well as process raises. Employees often need to update their bank account, address or withholding information. Payroll services can provide employees with access to this information, allowing them to make changes as needed. If required, the employer can opt to make these changes on their end. Everything is done to the client’s specifications. PEOs keep comprehensive records for their clients. This valuable information can be made accessible to both decision makers and employees. Payroll services can provide their clients with attendance and time tracking. This can be used for oversight purposes, or to monitor how employee time is utilized. In 2016, the IRS audited close to 2 million small business tax returns, which means compliance is a must. Tax regulations are complex and changing all the time, and businesses of all sizes are expected to keep track of these changes. Payroll services are constantly updating their processes to account for any new regulations, and guarantee tax compliance for their clients. According to the IRS’ own 2016 data, nearly one million companies of all sizes were assessed fines for tax compliance violations. Outsourcing to professional payroll services can safeguard your company from these fines. Payroll requires perfect accuracy and accountability, both of which demand a lot of time to manage. Partnering with a PEO ensures your HR team is freed up to focus on value-adding processes. Because PEOs save time, they also save money. 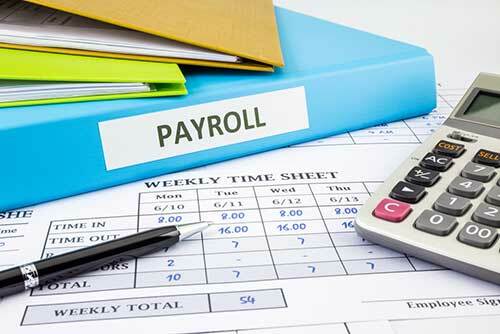 A payroll solutions provider has set up their workflow to optimize payroll. This extra efficiency is passed on to the business in the form of lower costs. Payroll services often have their own software for better management and oversight. This software can be especially helpful for companies that rely on outdated methods to handle their payroll. It also keeps payroll transparent for both employer and employee, so all relevant information is readily available. Payroll accuracy is not only important for tax compliance, it is also necessary for the company’s own internal audits and financial tracking. Payroll services ensure total accuracy, even with a range of time sheets, pay scales, tax rates, withholdings and benefits. Payroll services are a reliable, convenient and inexpensive alternative to handling payroll in-house. Most importantly, they have reliable, consistent payroll processes in place that guarantee compliance with government agencies. With that kind of peace of mind, business owners can focus on growing their company.